While educating customers about your products and services, you have to be careful enough in selecting the medium of education. 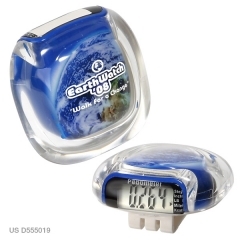 A custom pedometer is an ideal device to spread your brand name as well as products and services. This multifunction pedometer has large screen. The easy to read display count every step your customers take. 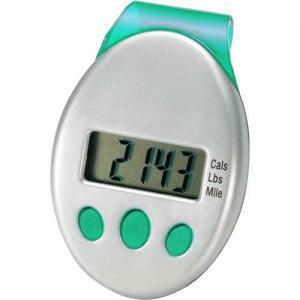 Not only that, this green personalized pedometer can calculate the calorie and mileage too. 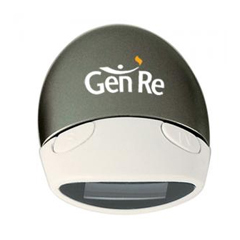 The promotional pedometer comes with an in built clip that helps for easy attachment. 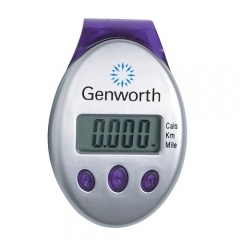 Gift your customers the attractive pedometers to inspire them to walk more to attain physical fitness. Imprint Area : 1" x 3/8"
Product Size : 1 1/2" x 2 1/4" x 7/8"